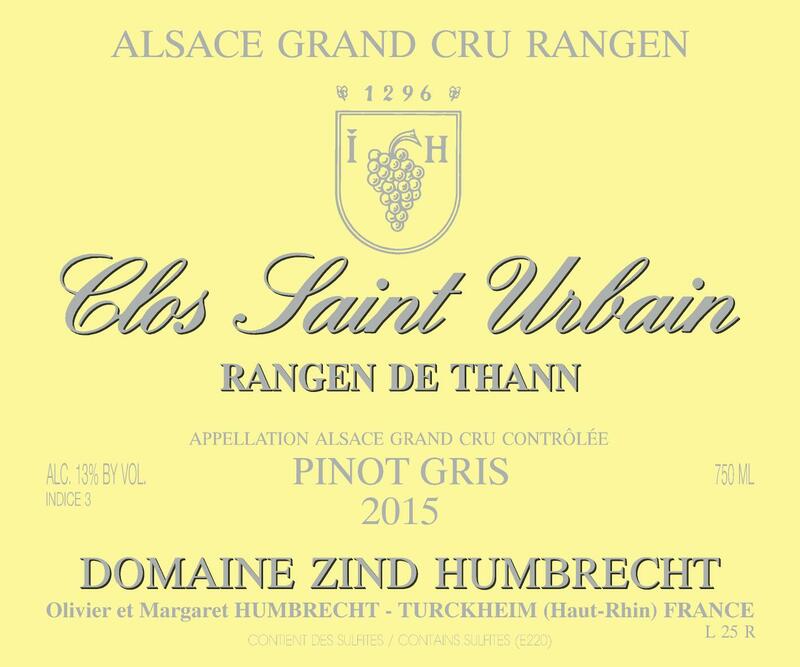 The Clos-Saint-Urbain covers 5.5ha on the western part of the Grand Cru Rangen, close to the old town of Thann and right above the river Thur. The volcanic rocky soil and incredible steep slope bring an unmistakable personality and character to the wines from Rangen. The poor soil and high vine densities explain the richness and concentration of the wines, enhanced by the effect of the river that allows the development of some botrytis on a grape like Pinot Gris. 2015 saw less noble rot than usual, but its small presence explains the richness of this wine and the presence of some residual sweetness. It is very interesting to realize that both grapes, Riesling and Pinot-Gris, were harvested the same day with a big difference in ripeness. The fermentation wasn’t too long (6 months) but we felt that this wine would benefit from extra ageing on the lees and was only bottled in February 2017. 8/2017: intense yellow/gold colour. The nose combines intense ripe fruit and classic flinty/smoky aromatics. Despite being very expressive on the nose, the palate shows more earthy aromatics and will only reveal the honey/bee wax (signature of ripe grapes) after a long exposure to air. The wine coats the palate with a velvety sweetness, never overpowering, just strong enough to remind the taster that this wine isn’t dry. Pinot Gris is a difficult grape, and it takes a great vineyard to push it to the highest level possible.